Construction work on the Taïba Ndiaye wind farm, fifteen kilometres north of Dakar, can start. The operator, Lekela Power, has just raised the 305 million euros needed to build Senegal's first industrial-scale wind farm. The private electricity company, Lekela Power, announced on August 1, 2018 that it has completed the financing for the construction of the Taïba Ndiaye wind farm. For this 305 million project, Lekela obtained a claim for which it did not specify the amount from the Danish Export Credit Agency (EKF), in addition to the 76 million euros obtained in June 2018 from the U.S. Government Development Finance Institution (Opic). The completion of the financial operation thus puts an end to the delay in the development of this project launched in 2008. Lekela power is reassuring when it plans the Taiba N’Diaye wind farm to go into operation by the end of 2020. The installation of 46 Vestas wind turbines, with a unit production capacity of 3.45 MW, is equivalent to a total production of 158.7 kW. This contribution will increase Senegal’s national electricity production by 15%. When fully operational (after less than two years of service), the facility will supply more than 450,000 MWh of energy annually to more than 2 million people. Compared to a coal-fired power plant, it will avoid the emission of 300,000 tons of CO2 per year. Located 75 km northwest of Dakar, it is one of the largest wind energy projects in West Africa. 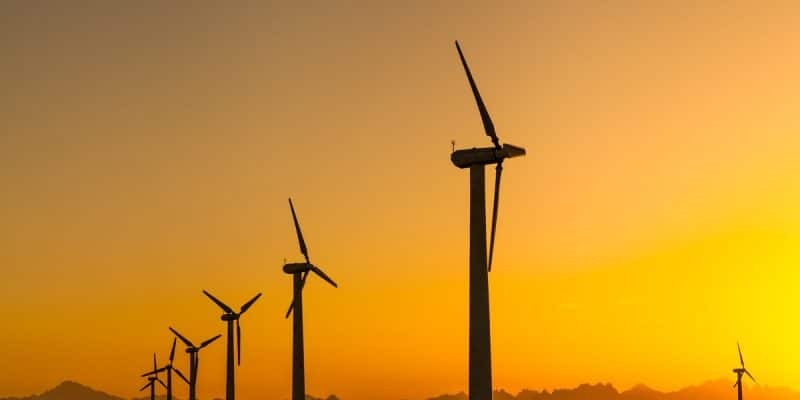 “Taiba N’Diaye, the first large-scale wind energy project in the country, will indeed be a key component of Senegal’s clean energy strategy,” said Chris Ford, Chief Operating Officer of Lekela. Lekela Power, an African subsidiary of Dutch Mainstream renewable power limited, is a renewable energy platform that provides large-scale wind and solar projects in Africa. The company is currently developing, building and operating a broad portfolio of facilities in Egypt, Ghana, and South Africa.